Whether you’re looking for sales, trade-in, parts or service, we have the expertise to offer you the best service possible. With over 15 years of combined experience, our factory trained, in-house staff technicians have seen it all. We are based in Washington state and service the entire west coast and beyond. If you’re looking for a knowledgeable team, honest follow-through, and a deep care for customer needs, we’d like an opportunity to serve you. We service equipment from these manufacturers and have experience with many others. We have a different take on what should be expected in this industry. We are setting a new standard for service and transparency. We show our work, and share our knowledge with you at every stage. Our aim is to form lasting partnerships with our customers. Our customer’s success is the most important thing to our business. We take the time to fully meet our customer’s needs now and into the future. Our customers are amazing. It’s this kind of feedback that lets us know we are staying true to our mission centered on customer care. My practice has been working with Stephen for over 3 years and we most recently worked with Saejin on a service call. They are responsive, efficient, straightforward, and fair in every encounter we've ever had with them. We've never felt surprised by any fees and we feel their rates are not only favorable but a tremendous value. They are extremely knowledgeable and they provide excellent service. We consider them a vital part of our medical laser practice and look forward to working with them for years to come! In a time when it feels as if good customer service is a thing of the past, we found American Medical Lasers. Stephen and Jeanette went above and beyond to accommodate our busy office hours to provide us with outstanding service. They have restored my faith that integrity, honesty and amazing service still exists. I found Stephen to be very professional, knowledgeable and trustworthy. He completed the repairs in a timely manner and for a reasonable cost. I highly recommend American Medical Lasers to any medical practice. They are now my go to company for all of my laser repairs! American Medical Laser is not affiliated with any of the laser manufacturers listed above. The logos above represent the registered trademarks of these companies. 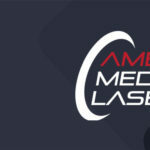 American Medical Laser sells used cosmetic lasers and used aesthetic laser equipment acquired directly from doctors, medspas, bank repossessions and expired leases. We are not authorized resellers. To purchase new or certified equipment, please contact these manufacturers directly. Not sure what to do? No problem! Just give us a call and we can assess your needs and find a solution for you. We are looking forward to helping you get started. At American Medical Lasers we are driven to provide clients with the best customer service the market has to offer. Knowledgeable staff technicians offer expert evaluation and technical support remotely or onsite. We consistently exceed the expectation of our customers in both performance and presentation. We look forward to helping you. American Medical Lasers has rebranded and started Picosecond Laser Distribution! © 2018 American Medical Lasers. All rights reserved.